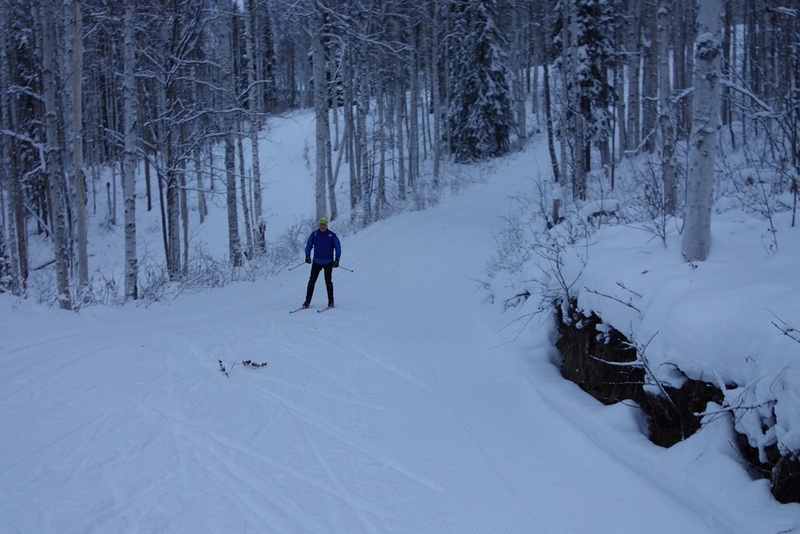 Interior Alaska nordic skiers had their Christmas wish granted as 4 or more inches of snow fell onto the hard and icy trails at Birch Hill and elsewhere in the Fairbanks area. 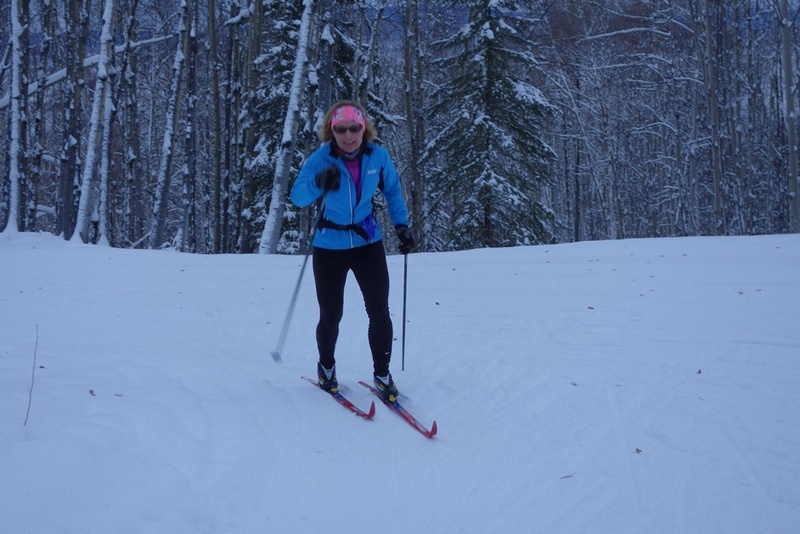 Although groomers had a challenging time keeping up with the steady snowfall when skiers were out trying to ski their age in km on Friday; today all the trails had been groomed and tracked making for happy skiers. 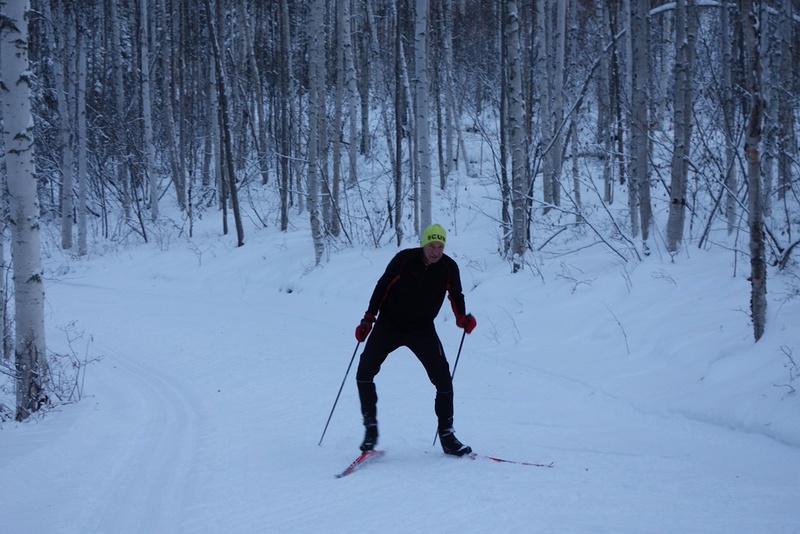 With an abundant cushion of snow, even the downhills on the black loops were less challenging, and we helped pack down the uphills that were still somewhat soft from the most recent snowfall. The leader of the LOL (ladies of leisure) group was doing her sampler of the Birch Hill trails taking cutoffs where they met her fancy. 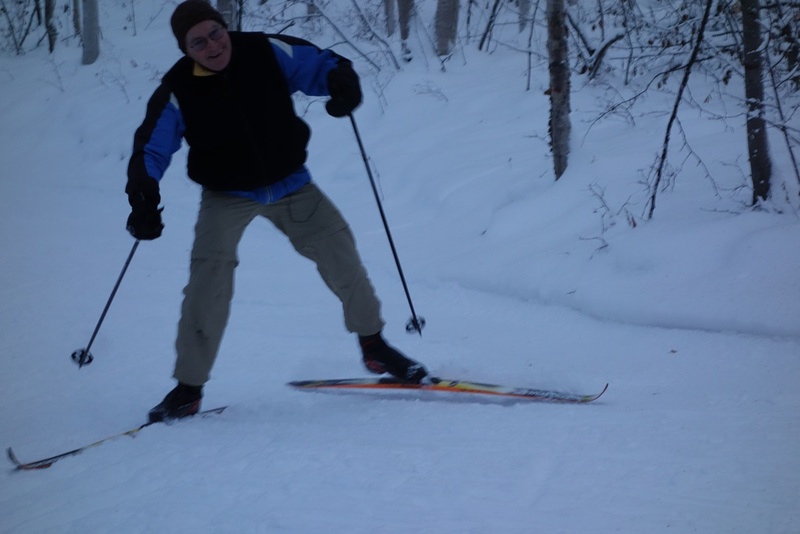 Having chosen classical skis, Chris was striding straight up the hills in the tracks rather than helping with the grooming like the skate skiers were doing. We were all having fun! This entry was posted in Training Ideas and tagged Birch Hill Recreation Area, trail grooming by Sonot Kkaazoot. Bookmark the permalink.